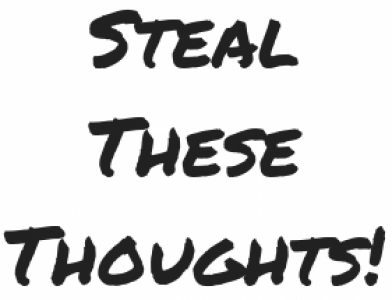 social media – Page 2 – Steal These Thoughts! What a time to be alive as the mighty Drake has said and it really is true. We live in a unique time where technology has advanced at such a stellar pace that it’s enabled humanity to do many wonderful feats. We can’t deny that right now we have the most advanced methods of real time communication in existence, with the ability to stay connected to everyone and everything, wherever we are in the world — so why are so many of us feeling more disconnected from the world and others than ever? We talk about how to build world class skills, social media vacations and who really is the world’s worst boss. We all use a number of platforms to share our stories with the world, some do this as a form of therapy and others in the hope to inspire. The reality is that not everyone will read our work or even like it, but that’s OK because maybe they aren’t the audience you want. It’s no secret that social media gets a lot of negativity and for good reason in some cases, yet due to this narrative we tend to not focus on the good it can bring to our lives. Yes, these platforms provide an opportunity to connect with anyone we want (whether that is real connection is another topic) and with this connection comes an opportunity to share a wealth of knowledge across our communities.